Leading on from my previous blog post about “Why your website needs an SEO Audit”, I wanted to discuss the SEO campaign part of ranking. To rank successfully your website needs to be relevant and also authoritative. That’s what will separate good websites from not so good ones. What does being authoritative mean? To be authoritative, your website needs to be considered worthy to have web links pointed at it (backlinks). For example, if the BBC thought that my website was relevant to a story they were running (I wish!) then they might link to my website. Voila! You have a great backlink. And because it comes from a very well trusted site – the BBC- then this backlink infers trust and authority and Google will add this inference into its consideration of where my website should rank. So backlinks are important then? Yes backlinks are considered to be one of the primary ranking signals. There is believed to be over 200 ranking signals but links are number one. Google has loads of patents about links so we know that they are important. And a website can rank quite rapidly by the accumulation of links if the website itself is of good quality. Great let’s speed this up and buy links then! In the olden days of SEO this was a tactic which worked. Buying hundreds of links would have a positive effect on a website ranking. But not anymore. Buying links is against Google guidelines. Furthermore, the rate at which a website accrues links is a signal to Google about the spammyness of the links. Naturally a website would get links one or two at a time perhaps unless it ran an advertising campaign and the brand went viral. So buying a bulk load of links is not going to work and will only damage your website’s reputation. 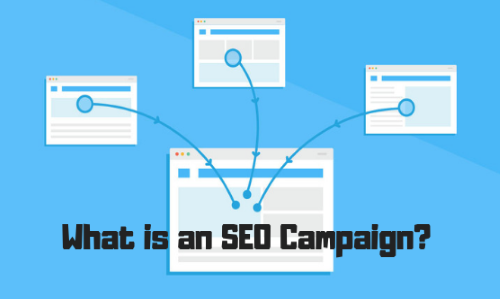 So what makes an SEO campaign then? Primarily it is a campaign to build links to a website since we know these are important. This happens after an SEO audit. These links can come from places like directories, local business sites, sponsorships, accredited bodies etc. But we also know that other things are important too like new content such as blogs. Great blogs can be syndicated this and can in turn earn links. All this takes time and that is why an SEO campaign should be run for at least 6-12 months to see real benefit. If you have any questions about SEO campaigns or SEO in general, get in touch and we would be happy to help.